Stay cool all season while wearing the Starter Men's Wick Tee. 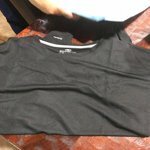 This sturdy basic shirt is made of 100% polyester with an advanced dry moisture wicking treatment that is designed to keep you cooler for longer. This men's short sleeve tee features a classic crew neck style, making it a wardrobe staple. It comes with UV protection, tagless design and reflective details, giving it the ability to excel in active and casual situations alike. 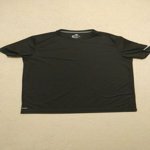 The sweat wicking t-shirt is available in a variety of sporting colors, making it excellent for both fitness and everyday wear. The fabric on this men's quick dry long sleeved tee is very soft, light and comfortable. It breathes very well but is not completely sheer. It's appropriate for working out, yard work or just lounging. I ordered a large and it is true to size. 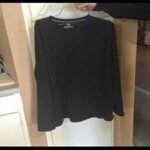 It's easy to care for, just throw it in the washer on cold and low heat in the dryer. I recommend this tee shirt. The Athletic Works Men's Long Sleeve Quick Dry Tee is a very comfortable shirt to wear. 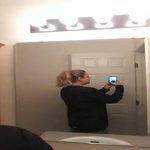 My husband likes wearing long sleeve Tee shirts whether in the winter or summer. The Athletic Works Men's Long Sleeve Quick Dry Tee is 100% Polyester and made with a mini honeycomb mesh that makes for a very soft and silky feel on the body that seems to help keep you cool and dry. As you sweat, the material pulls it from your body leaving you feeling dry. 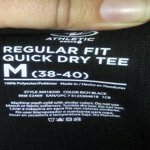 The way the Athletic Works Men's Long Sleeve Quick Dry Tee is made, it sizes larger than my husband is used to. He normally likes his shirts to fit closer on his body than this one does: he wears a large and a large in this item hangs loosely. The larger fit is probably part of what helps to keep the wearer cool and dry. Overall this is a comfortable shirt that looks good and is easy to maintain through machine washing. I don't own many athletic shirts but this one looked comfy and I figured I'd give it a try. It's light and thin and comfortable. It's dri fit so the material is typical of that. I wear between a L and XL in women's so for this I got a men's medium. It fits comfortably. I got black so I'm not sure about accuracy of colors in comparison to photos. The arms come above the elbow by about 2-3 inches. The collar isn't too overly snug. I'm claustrophobic and wouldn't be able to wear it if it was. Length is typical of a men's t shirt...goes just past the hips on me. I've found it to be comfortable and I'm sure I'll be buying some for my husband. I selected this shirt for my boyfriend who is fairly picky about his shirts and he loves this shirt. I picked out a size large for him (he's 5'11” and 170 pounds) and the fit was just perfect for him. 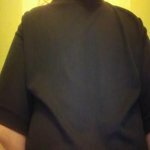 The fabric is very lightweight and silky. I worried that it may not survive a workout at the gym but it did fine. The shirt also survived its first wash and dry and we don't believe it shrunk at all (or very minimally) in the dryer. 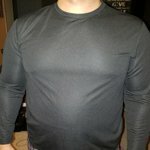 Great shirt that is good for the gym and working around the house. Very pleased. The Quick Dry Tee is a great t-shirt for doing any sort of physical activity except plumbing. The material definitely dries quickly and doesn't trap sweat like a cotton shirt would. The sweat quickly gets wicked away leaving you cooler and more comfortable. It feels smooth but it does not feel as good as the Nike Dri-FIT shirts. It does feels light and airy. It makes for a great undershirt on a warm day. There is a reflector on the sleeve; but it is too small to make a difference if you go out for a jog late at night. If you don't have any favorite pajamas, this shirt could be a worthy contender. A warm blanket plus a cool shirt makes a superb combination. The quick dry is great for those who like to pack light when they travel. You can rinse it, hang it overnight and it'll be ready to go the next morning. The fit is a little tight and short, so you may want to get a larger size. I would not recommend this shirt for plumbers who make house visits. Overall, this is a comfortable shirt for all folks, everyone from the triathletes to the supreme couch potatoes. The shirt is a nice. It feels good on. It does run a bit big. 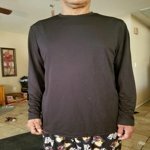 Normally my husband wears an extra large in fitness wear but for this one we tried it in a large. I figured that because normally these types of shirts are supposed to be fitted and usually run tight, that it might just work out anyway. My bet paid off, it is – actually - fairly loose on him even though it is technically a size too small. Hence it runs larger than normal. I wore it and it was great on me as well. It was perfectly loose and very comfortable to run in. It kept me cool for my entire run on a moderately warm day. As far as the wicking properties. I am not so sure it kept me dry, but it did not make me feel incredibly sweaty after my run. So, I guess the wicking worked fairly well. It might have worked better if it was fitted and not so loose. It was nice to wear a long sleeve work out shirt that was tight and revealing for once, just something that covered me up and got the job done. I like it. 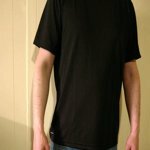 I ordered this shirt for my husband, but it ran a bit small so it didn't fit him. My bro-in-law is smaller instead I gave it to him and he loved it. He likes the more sporty look, even when he isn't working out, so this was perfect for him. He said it kept him cool and it washed well. I think for $6 this shirt is a great bargain! I received this shirt for my son. He is a normal men's size medium. Although I expected this shirt to have a tighter fit than a regular t-shirt, that was not the case. It was actually lose fitting. Thinking when I ordered it, my son would wantto wear under his regular t-shirts to help with his uncontrollable underarm sweating but instead he wears it just as a regular shirt. It is made of very well constructed mesh that isn't thick and heavy but rather lightweight. 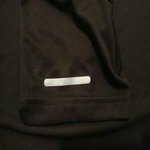 There is a small reflection line on left sleeve and the wording "DriWorks" on lower right bottom. Both very small and not very noticeable. My son likes the shirt as it lets his body breathe and he doesn't have to deal with big armpit stains, which he is so embarrassed about. I would recommend this product for anyone looking for lightweight comfort. Overall, the shirt is soft to touch and comfotrable. First of all, this shirt is insanely comfortable! Great for exercising or playing sports since it isn't restrictive and wicks moisture pretty well. Actually it's great for lounging too since the material is so giving and soft. I will say it runs a bit small so I would recommend going up a size unless you're looking for a tight fit. My husband is always outdoors working or playing sports and he loved the material feel and its reaction to working up a sweat. It is a nice looking shirt for wearing out in public as an every day shirt too. Comfy and quick to throw on for the day. 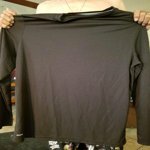 I would recommend this to others but as I said before you may want to consider sizing up unless you are looking for a more snug fit. Great shirt and overall very happy! Athletic Works Men's Core Quick Dry Long Sleeve Tee is a very nice looking and feeling shirt. It is long sleeve, but not too warm, just very comfortable. dries quickly and pretty much wrinkle free. The shirt is form fitting ( depending on your form, I guess), and just looks nice when worn. It can be either the only shirt you're wearing, or can be worn beneath another, for those unseasonably cold days as we have been experiencing as of lately.